Fabulous Friday…Yes, it’s been a few days since I’ve blogged. Two long days in the office will do that to you. The upside – I’m officially on vacation (well a staycation until 1.3.12). Christmas shopping is done and the gifts are under the parents tree in preparation for Christmas Eve and Christmas Day with the fam. So this Fabulous Friday is dedicated to my favorite holiday – Christmas. I do wish there was snow but I’m feeling more and more in the Christmas spirit. Two family celebrations, Christmas Eve church at 10:30 p.m. (my personal favorite filled with lots of Christmas Carols). We never actually get back home until after midnight and always have some eggnog (spiked) and open at least one gift. So until I am able to blog again (next week)….Merry Christmas to you and yours. This year has been filled with tons of blessings and I can’t wait to see what 2012 brings. 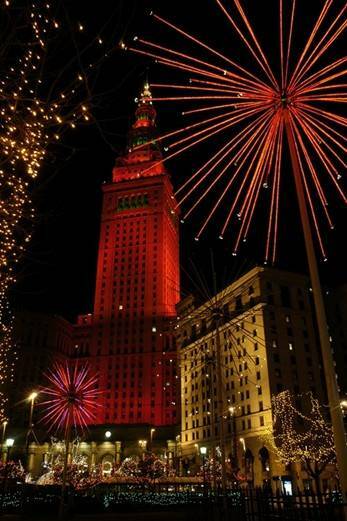 This entry was posted in Uncategorized and tagged Christmas, Christmastime, Cleveland, Holidays, Loves, The CLE. Bookmark the permalink.